In the jazz world, groups often convene for special projects, though, more often than not, the participants then usually go their separate ways, even if the underlying concept- -or, even, just the band's chemistrysuggests further continuance. 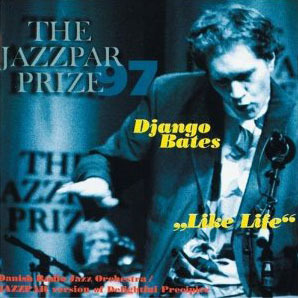 When Django Bates put together Belovèd Bird (Lost Marble, 2010), it seemed likely that the maverick British pianist, composer and foundation shaker's off-the-wall tribute to bebop progenitor/saxophonist Charlie Parker would be a one-off. 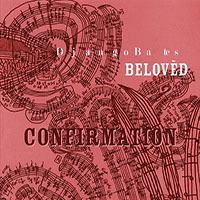 Now, two years later, Confirmation finds the same trio back with an album that, recorded in November 2011, is hitting the streets more quickly than its predecessor, which took nearly 30 months to see the light of day. Rapid delivery isn't the only difference. 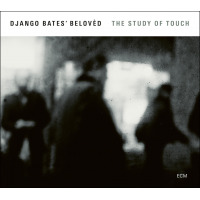 While Bates contributed a couple of compositions to Belovèd Bird, they were but brief miniatures, acting more as connecting threads between a set that deconstructed, reconstructed, fragmented and otherwise twisted and turned tunes written by or associated with Parker. Here, shifting the direct focus largely away from Parker, Confirmation's ten tracks (and one not-so-hidden bonus) come largely from Bates' pen, although the trio still finds plenty of grist in Parker's writing, delivering barely recognizablebut, most importantly, still recognizableinterpretations of three of his compositions. "Confirmation" is played with reckless abandonor, it seems so, but with bassist Petter Eldh and drummer Peter Bruun turning the time inside out, altering tempo alongside Bates like a car running out of gas, hiccupping, speeding up and slowing downthere may be more planning than meets the ear. 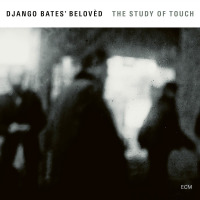 Bates approaches "Donna Lee" like a man possessed, shifting from blinding two-handed octave lines to light-speed single-note phrases that could only be achieved with all ten fingers working together in concert, suggesting snippets of a familiar theme even if never quite collecting them all together. "Now's the Time" is more immediately recognizable, despite a quick dissolve into darker territory, with time and changes gradually reasserting themselves, though the tunelike all the Parker coversnever actually settles into anything resembling swing. Elsewhere, Bates' compositions continue the free-spirited fun. "We Are Not Lost, We Are Simply Finding Our Way," is aptly titled, as the trio, once again, plays with tempo, seeming to start, stop, and move in and out of time in ways that suggests greater preplanning amongst the free play. And that's the beauty of Confirmation; even when singer Ashley Slater guests on Burt Bacharach and Hal David's "A House is Not a Home," with its clear changes and (moderately) consistent tempo, it's still redolent of Bates' innate idiosyncrasies. 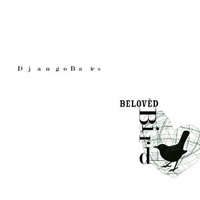 Even more, despite Confirmation largely mirroring Belovèd Bird's all-acoustic nature, the ethereal sonic washes in the weeds of the song signal Bates' greater injection of electronics into the 90-second bonus tracka de facto coda, with synthesizer lines bubbling beneath Slater's repeated mantra ("good night") and the album's most consistent pulsesuggesting a possible directional shift for Belovèd that will only be, well, confirmed if and when Bates decides to reconvene this quirky, curious and strangely appealing trio for a third round. Here's hoping. Track Listing: Confirmation; We Are Not Lost, We Are Simply Finding Our Way; Sadness All the Way Down; Donna Lee; Senza Bitterness; Giorgiantics; Now's the Time; Dimple; Peonies as Promised; A House is Not a Home; Untitled Bonus Track. 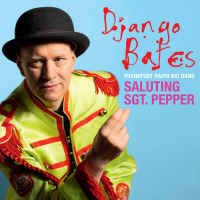 Personnel: Django Bates: piano; Petter Eldh: bass; Peter Bruun: drums; Ashley Slater: vocal (10, 11).